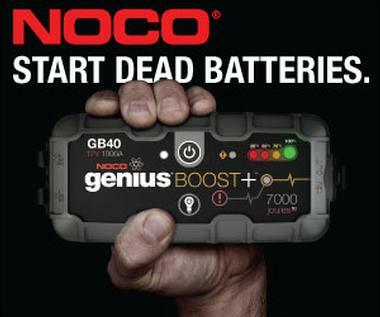 The NOCO Genius Boost is the ultimate portable lithium-ion battery jump starter pack. It features NOCO’s patented safety technology that provides spark-proof connections and reverse polarity protection, making it safe and easy for anyone to use. 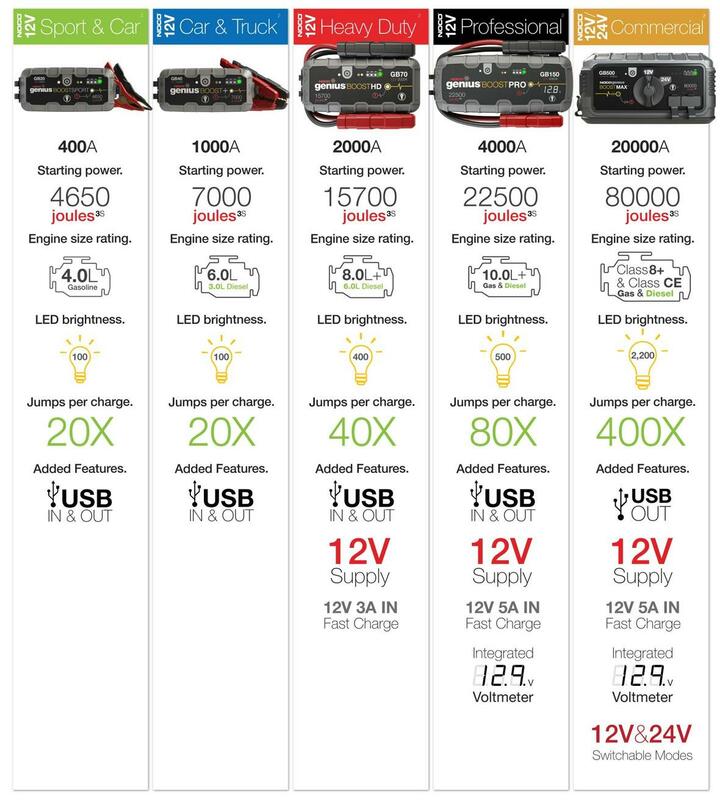 Not only is it a powerful battery booster, it doubles as a portable power source for recharging USB devices, like a smartphone, tablet, and more. Designed for any 12V application, the NOCO Genius Boost will start cars, boats, RVs, trucks and more - both gas engines and diesel engines.